A comic, participatory adventure, joining two Victorian explorers, Webster & Jones on their quest of discovery to conquer the great outdoors! Follow the journey of an intrepid, yet hapless, explorer and his faithful guide as they quest through the great outdoors of Wales towards their ultimate goal: the summit of Mount “Snowed On”. 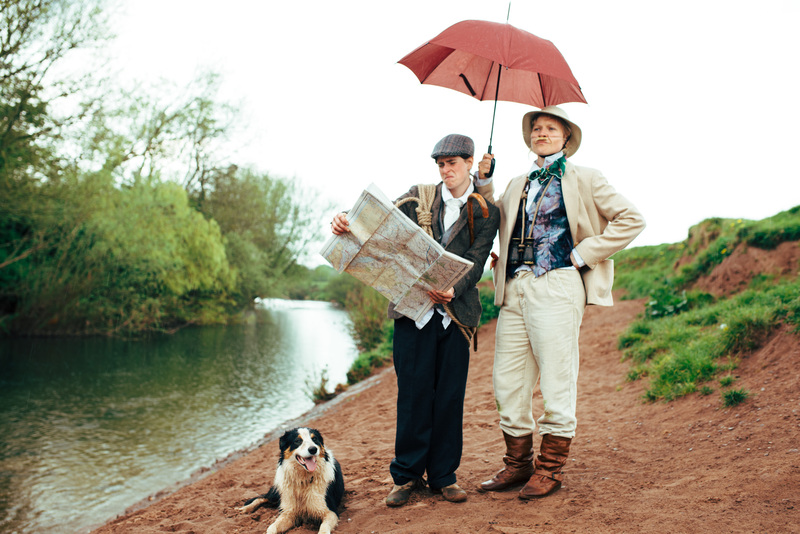 Combining an interactive, walkabout performance with a traditional street theatre show, ‘Webster & Jones: A pocket guide to Wales’ plays on the theme of our relationship with nature and our futile desire to master it, the two characters journey through comic adversity to a realisation that there is ‘no place like home’. Bilingualism is at the very core of the piece. Webster being the archetypal Victorian English explorer, his companion a salt-of-the-earth Welsh hill farmer, who doesn’t speak a word of English!